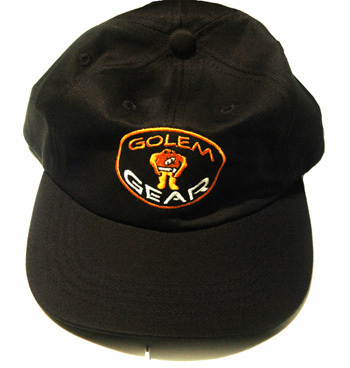 Baseball hat with Golem Gear embroidered logo. Six panel, extra low-profile cap with unconstructed crown. Self-fabric, adjustable strap back with antique rail buckle. Fabric Adjustable Back Crown of the hat sits low for a relaxed look and feel.